I’m happy to introduce to you Brenna and Calvert of Luna Record Shop. I lived in Nashville briefly and there are a lot of great shops there, but one day I was heading out to Franklin, TN and ended up at an artsy indoor space called ‘The Factory’ for some coffee. While roaming around I stumbled on a record store called ‘Luna Record Shop’, one of our cats is named Luna, so that + records and a vintage looking logo I had no choice but to stop in. Later I found out it was run by women, who are also sisters… and I loved it even more. These sisters are fourth generation Franklin natives, with a great taste in music, who enjoy a good work life balance spending time with family when they aren’t running this hip gem outside of Nashville. As sisters that grew up loving music, we took Brenna’s dream of having her own record shop and combined it with our dream of running our own business together. We always loved the magic of going into record stores and wanted to bring that experience back to the ones that missed it, and more importantly provide it for the generation that had only been listening to music on their phones. We spend our days ordering / pre-ordering new vinyl, running numbers, buying used collections, cleaning used records, play-grading them (I can attest to their VPI cleaning and play-grading, Brenna was doing this when I visited), alphabetizing, enjoying our customers, working on websites and social media; and always thinking forward on aspects we want to work on. Oh, and we listen to a lot of music… even stuff we don’t want to. We love seeing the younger kids come in and spend money on a physical piece of music. We also love connecting with customers and talking music, but our shop is our favorite work in progress. It represents us fully and when you walk in you know immediately what we like and what makes us happy. Everything on our walls means something to us and brought us to where we are now. Figuring out what our market likes to buy for new vinyl. With so many new releases and reissues it is a risky and expensive ordering process when you want to buy what you like, plus what you think your customers will buy. Make sure you are really passionate about it. 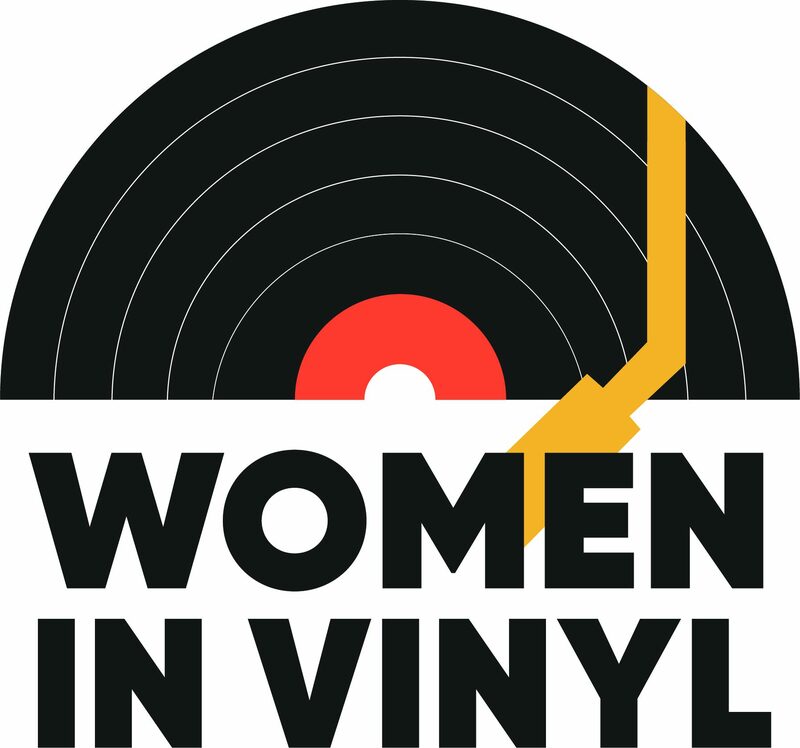 Make friends with your vinyl community and tap into their knowledge on the things you aren’t sure about. We both collect. I (Brenna) have collected since the late 90’s and started collecting things from my favorite artists in all formats. We keep our collections pretty small and listenable. If it doesn’t sound great we don’t want it. Larger artwork and limited variants are fun, but we care most about the sound and the artist. Our biggest concern is the push to reissue things without proper vinyl mastering. Sound quality is pretty terrible on a lot of them. We do love the limited variants and exciting first time vinyl releases! Tell me about what you’re listening to right now / favorite type of music? Our music tastes are very diverse, but post-punk and 90’s alt would run the deepest. Brenna’s favorite records in her collection are (but not limited to): Smashing Pumpkins ‘Siamese Dream’, Radiohead ‘The Bends’, Tori Amos ‘Boys for Pele’, The Clash ‘London Calling’, Pixies ‘Surfer Rosa’, Placebo Singles Collection, Tom Petty ‘Full Moon Fever’, The Smiths ‘Hatful of Hollow’, The Cure ‘Wild Mood Swings‘, David Bowie ‘Let’s Dance’, and Violent Femmes ‘Violent Femmes’. Calvert’s favorite vinyl in her collection currently are: are Paul McCartney ‘Flaming Pie’, Lush the entire discography boxset, Circa Survive ‘Blue Sky Noise‘, Siouxsie and the Banshees ‘Peepshow- Superstition-Through the Looking Glass’, Eazy-E Eazy ‘Duz It’, Whitney Houston ‘Whitney’, Descendents ‘Somery‘ and The Beatles ‘White Album‘. Well I guess a Nashville trip is in order! Cool cats, cool record store, cool blog!